Dr Daud Abdullah delivers lecture to commemorate the Palestinian Film and Arts Festival. IT is the duty of the Caribbean to support the people of Palestine in their struggle to decolonise their land and to gain their independence. 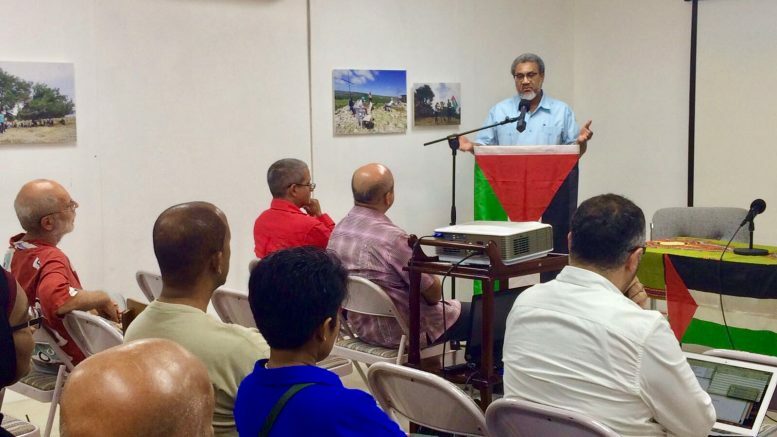 This is according to Dr Daud Abdullah, a Grenadian living in the United Kingdom and Director of the Middle East Monitor, who raised the point as he spoke to The Barbados Advocate at the Venezuelan Cultural Institute, Coconut Walk, Hastings, Christ Church, on Tuesday evening, where he delivered a lecture to commemorate the Palestinian Film and Arts Festival. 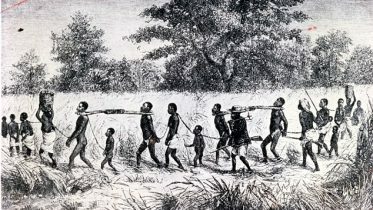 “It is important to us because it is a colonial project and we in the Caribbean struggled for independence, we fought for it in Haiti in the most dramatic and bloody manner. “Apart from the issue of decolonisation, the reality in Palestine today is one of apartheid,” Dr Daud added. CAAP, in association with the P21 Gallery of London, United Kingdom and its Director Yahya Zaloom and the Middle East Monitor organised the week-long event from November 13 to November 18, at the Venezuelan Cultural Institute. The Palestinian Film and Arts Festival week included a launch on Monday November 13, the public lecture by Dr Daud on Tuesday November 14, and showing of films each night and art exhibition each evening from 6 p.m. until November 18. Be the first to comment on "CALL FOR CARIBBEAN TO SUPPORT PALESTINE"